For the 30's birthday of Empire and the 27's birthday of me my Armor update parts from Paul. 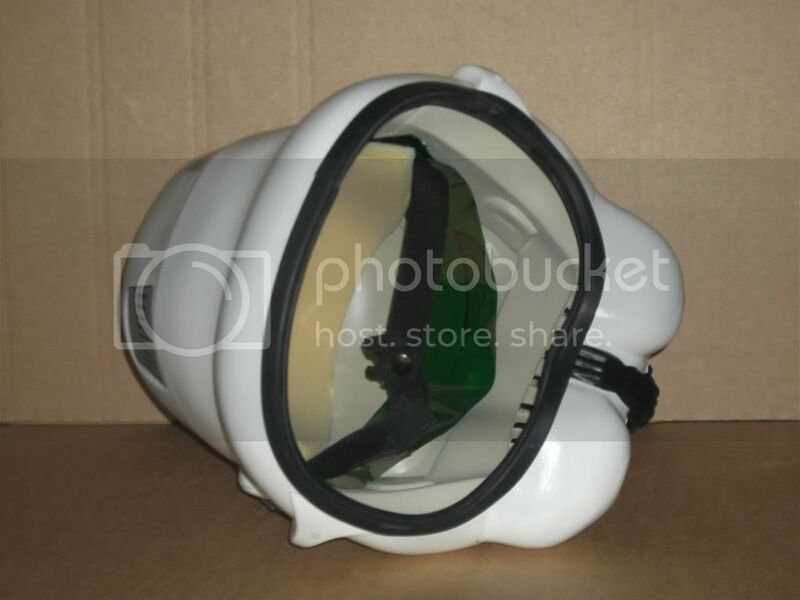 Helmet has a HDPE Beige undercoat and a white top coat. Handplates are sewn on as the screen used. 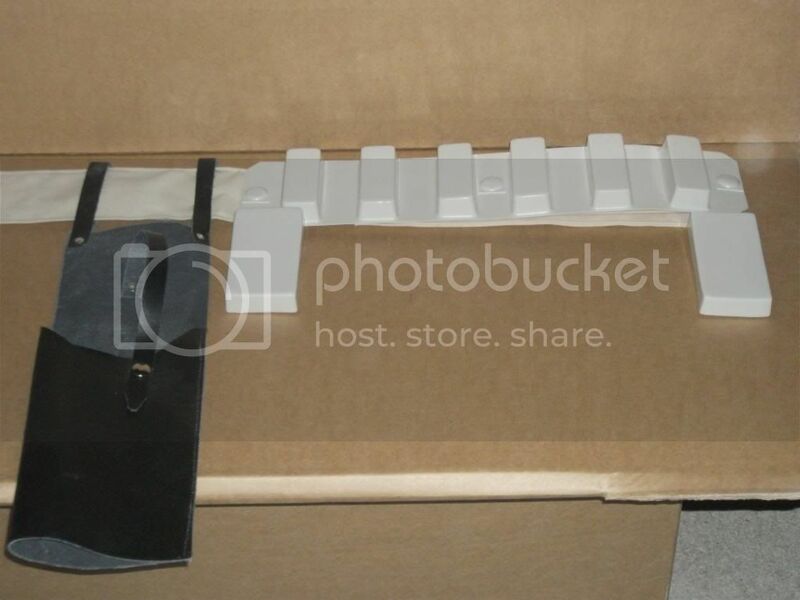 Canvasbelt has the Holster with loops on the right side.As it was typical for the ESB look. More will come if i have the parts in hand next week. Last edited by Turrican on Sun Jun 06, 2010 3:46 pm, edited 1 time in total. Sweet looking pieces. Very nice! Hear, hear! Enough with the talking and let's see some armour already! 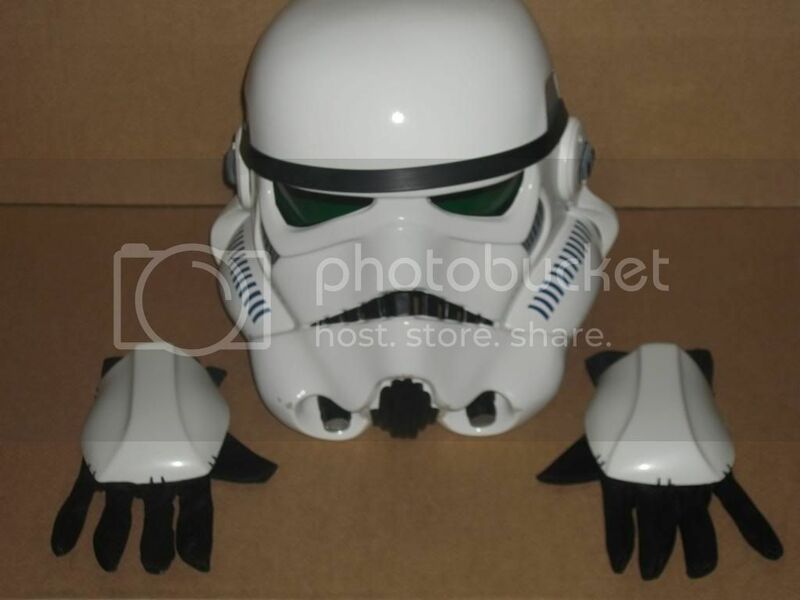 Can't have too many pics of TM stormtrooper armour... it's the mutt's nuts! Today i had the time to make some new pic's from my new ESB TM helmet. I add some ageing effects on it. The star shaped foam i aged with coffee- and teepads to give him a more realistic used look. 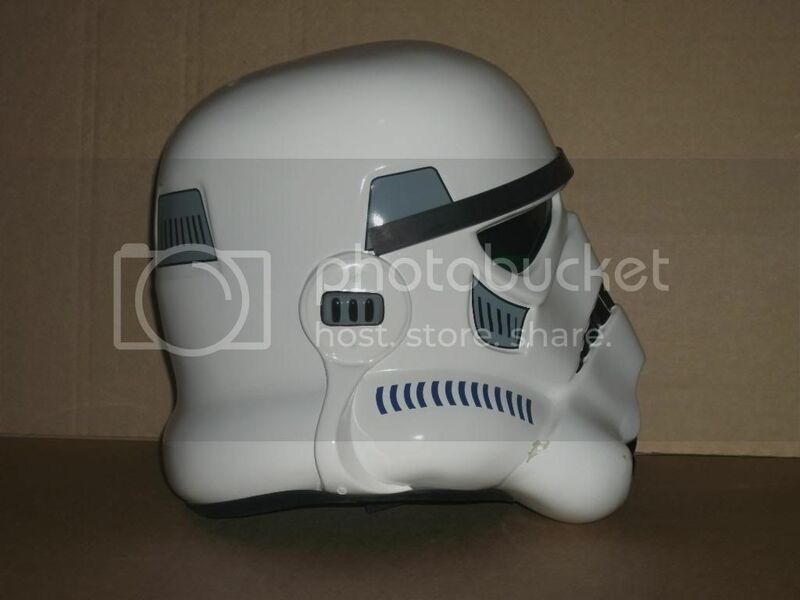 Also make some comparsion pic's to my AnH Stunt 2009 TM helmet,wich is as i think, more sharper in detail as the new mould from TM. Not know why he had change this. Maybe it's only 'cause of the paint, but both helmtes have a beige underlayer and a white top coat.So i not know why the sharp details are missing on the ESB. Well not all so bad with the ESB look. 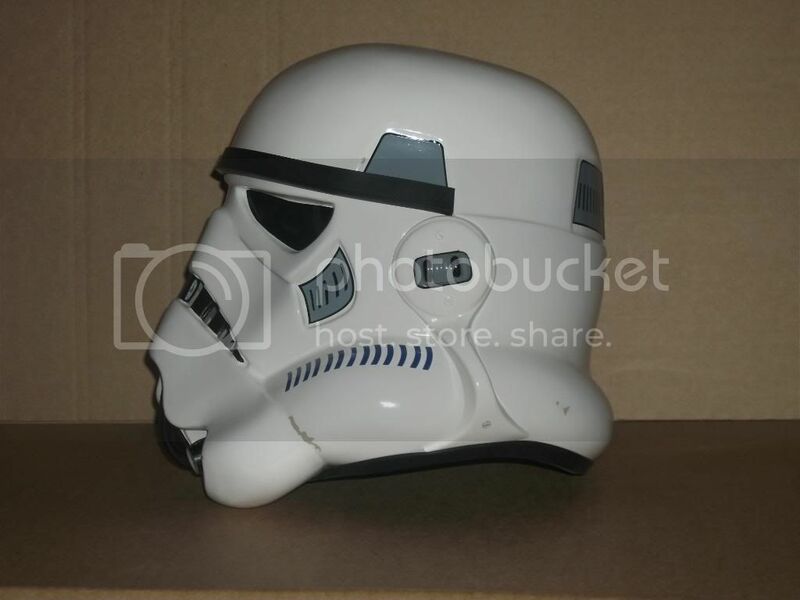 Looks more realistic that the lines are not so sharp as at the AnH helmet, cause the AnH helmets were repaint for ESB. So it think it make sense that the ESB is not so sharp in detail. 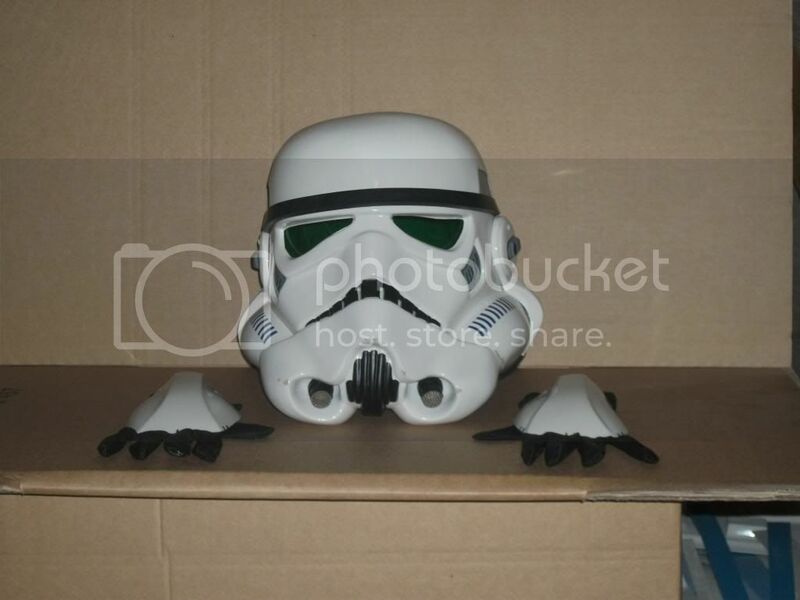 Pic's in armor i will make on weekend. The 2010 TM helmet has been almost completely reworked and softened compared to his last years and other helmet versions.. Yes it seems so, but i not understand why he softened his sharp details. It's a downgrade for me, not a upgrade. I ask him about this, and he told me that both helmets, the 2009 and the 2010 are from the same moulds, except the faceplate. Today i make some pic's suit up. And last but not least my AnH Hero set up. Looking mighty sweet. Now... go out to the forest and hunt some Ewok for what they did to your RotJ cousins!